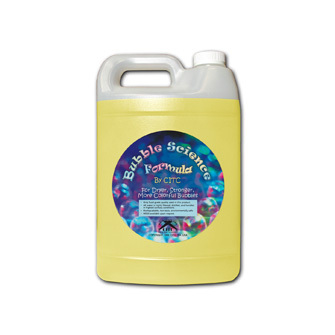 Bubble Science Formula is our most popular bubble fluid. It is in constant high demand as it produces the strongest, longest-lasting bubbles in the industry, while leaving the least amount of residue. In fact, the quality is so far above all the rest for colorful reflection and stamina, that we ship this product internationally as well. It is the number one choice for amusement parks worldwide.